Want to go on a Birthright Israel trip but can’t get enough time off of work? Join us for a 7 day trip! You will have the same opportunity to make your own connection to Israel with other Jewish young professionals and community leaders from across the country. In addition to exploring Israel, you will be building your network beyond your community, and making lifelong friendships. You will explore Israel from the north to south, learning and experiencing in depth with Hillel, in just 7 days. An incredible new initiative for young professionals to experience Israel together this summer on a seven day Birthright Israel trip! 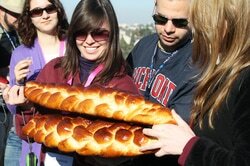 This trip is perfect for young professionals at Jewish or Israel organizations up to the age of 29. Experiences will include off the beaten track cultural opportunities, civil society issues in Israel, Jewish learning, and a once in a lifetime opportunity for professional development in Israel with your peers. 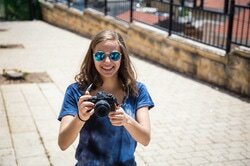 The Birthright Israel Hillel team is here to answer any question you may have! Don't see a trip that works for you? Check out our national trips, niche trips, or campus trips.